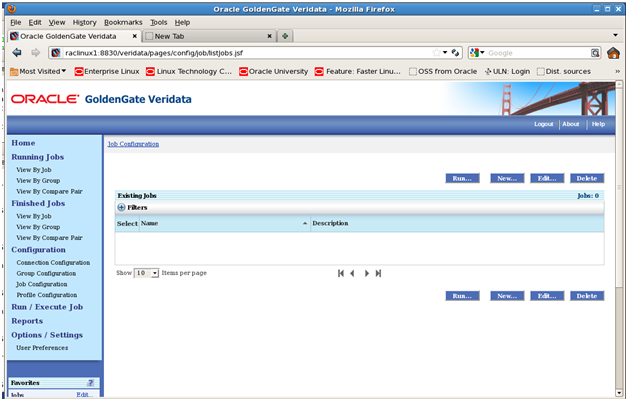 For OGG Veridata deployment the following software will be used in addition to the OGG 11gR2 replication already running. OGG Veridata consists of the following components and uses a highly accurate two pass algorithm for performing data comparisons. 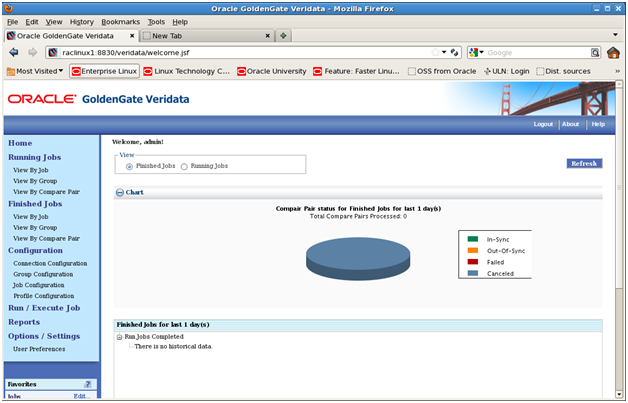 The OGG Veridata Server installs everything except the agents which are installed separately. 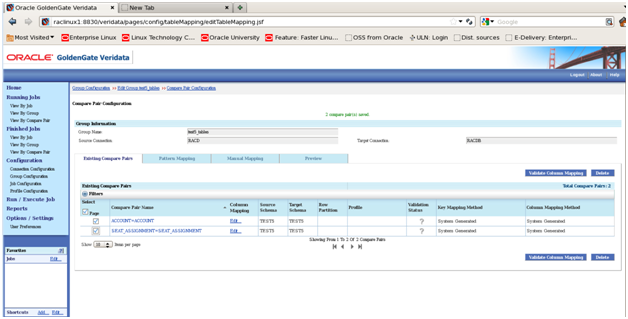 In the article RACD database will be used for a repository database. 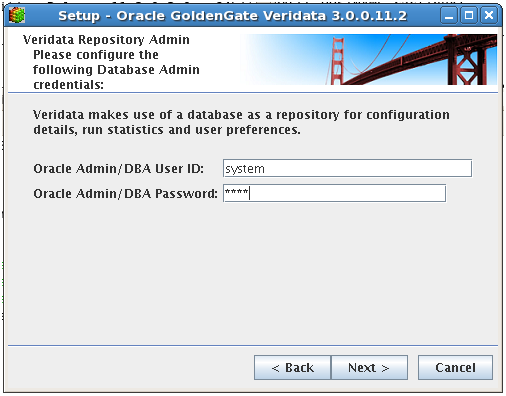 An agent should be installed for each Oracle database in the OGG 11gR2 configuration. Each component should be installed in a separate directory not overlapping the other installations. 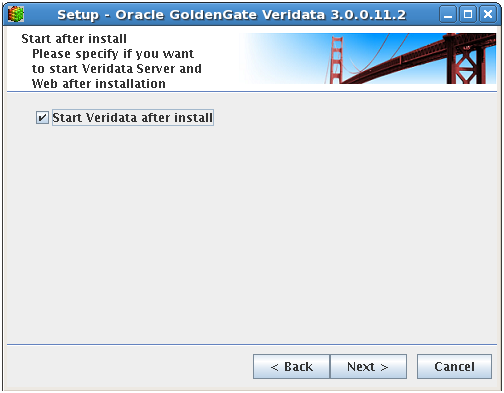 Download, unzip OGG Veridata Server and start the installer. Specify location for the data. 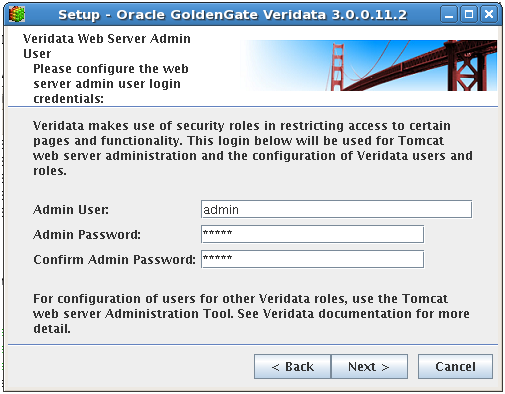 Specify OGG Veridata Web Admin user credentials. 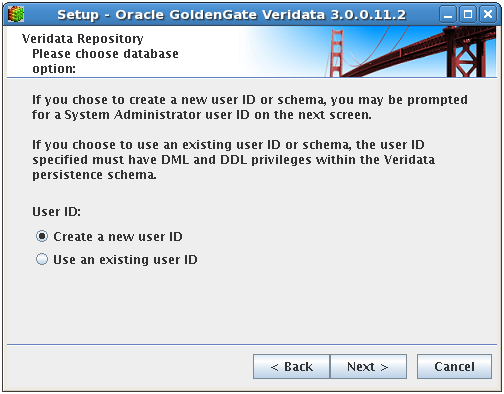 Specify Create a new user ID. 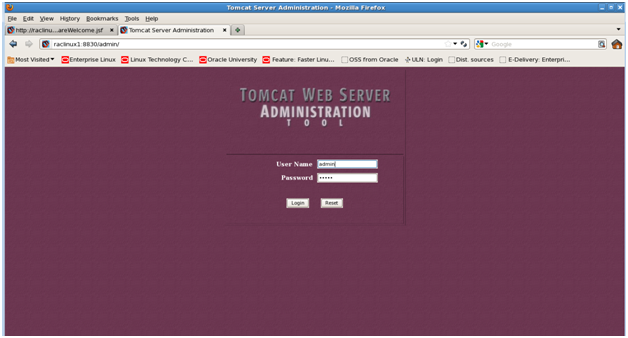 Enter user credentials for the repository owner. 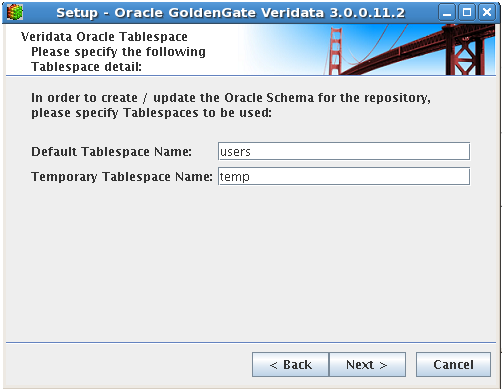 Provide the tablespace details for the repository owner. Specify OGG Veridata listening port. 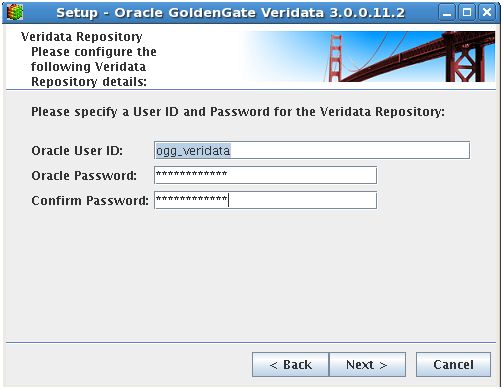 You can select the option to start OGG Veridata Server and OGG Veridata Web. If you do not specify it you can start it later on. Examine the summary and start the installation. 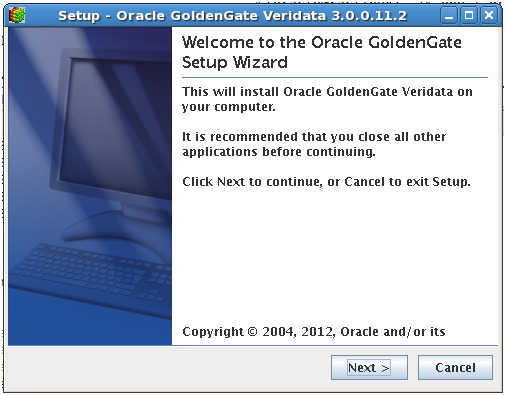 Upon successful installation exit the installer. 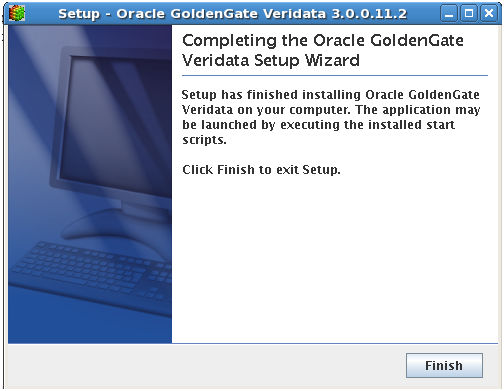 This concludes the OGG Veridata installation. 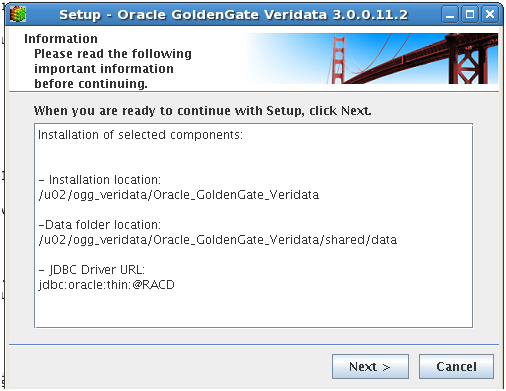 Managing OGG Veridata Server, starting and stopping, is done using the veridata_server.sh in the following location $OGG_VER/server/bin where $OGG_VER is the install location specified earlier. In my case it is shown below. 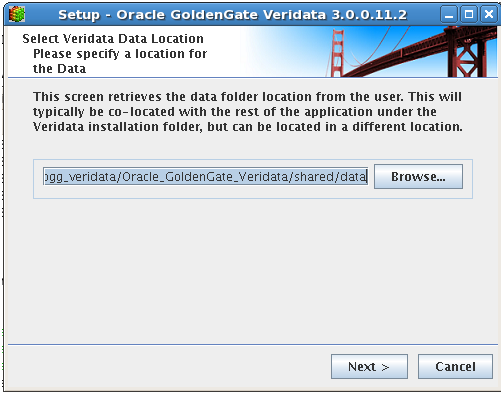 Managing OGG Veridata Web, starting and stopping, is done using the veridata_web.sh in the following location $OGG_VER/web/bin where $OGG_VER is the install location specified earlier. In my case it is shown below. Download and unzip the agent into a separate directory from the existing OGG installation. 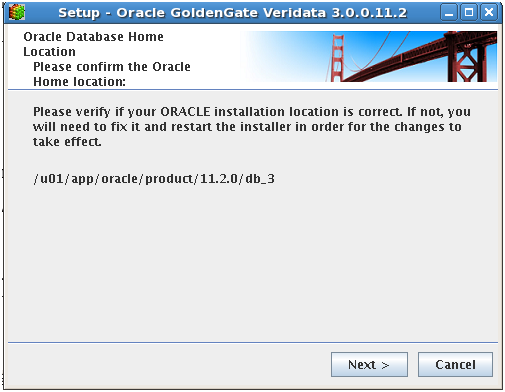 Install one agent per Oracle database. 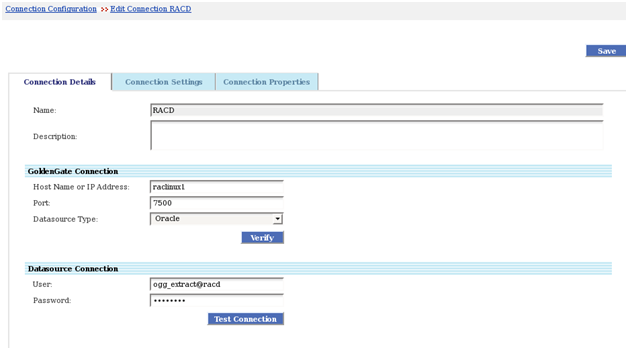 I am showing one installation, but for the RACD and RACDB databases there should be two agents installed, configured and running. 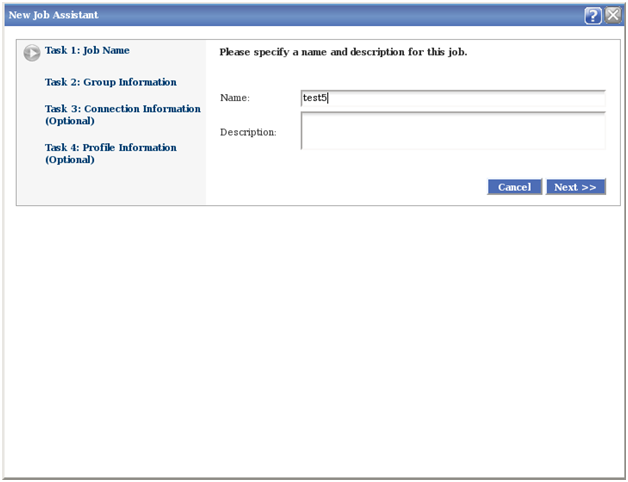 After installing the agent software configure a manager parameter file and start the manager. 2012-11-17 15:54:41 GGS ERROR 150 Address already in use. 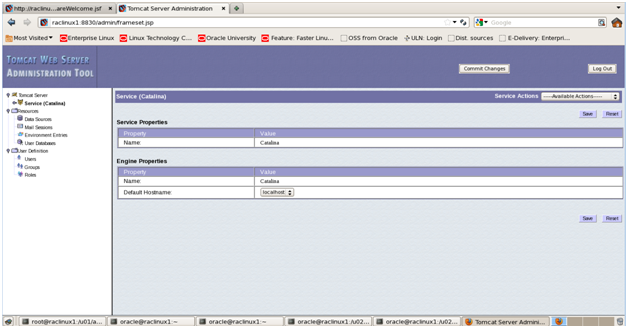 Manager is running (IP port raclinux1.gj.com.7500). 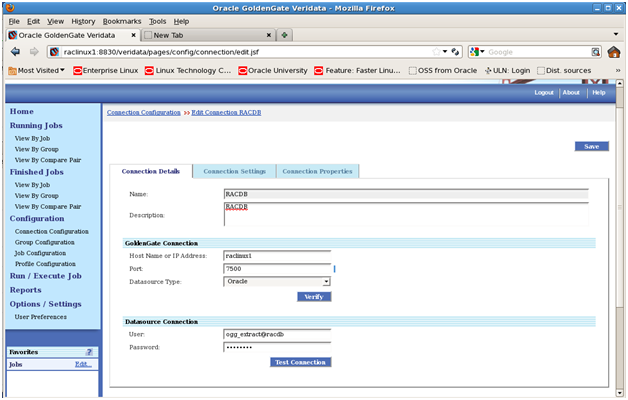 Connection – specify how OGG Veridata Server connects to an agent that connects to an Oracle database. 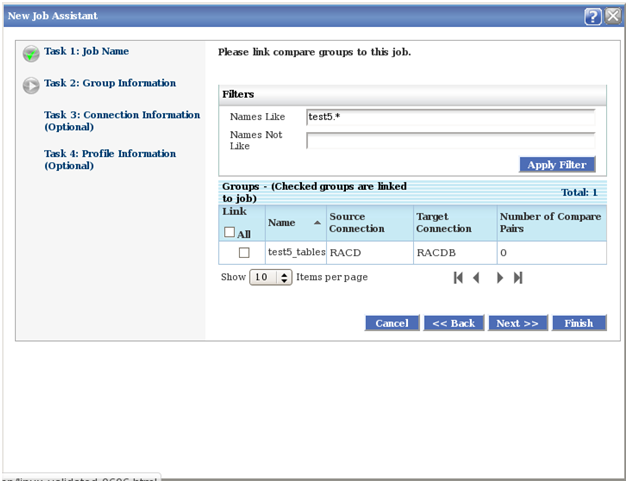 Job – contains Groups. Job is associated with a comparison. After a job is run the result of the comparison become available. 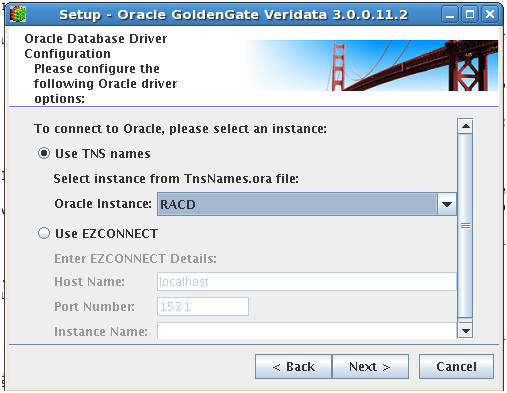 I am going to use OGG Veridata to compare the test5 schema from RACD with test5 schema RACDB in the active-active bidirectional configuration described here. The following tables will be compared in order to verify data replication. 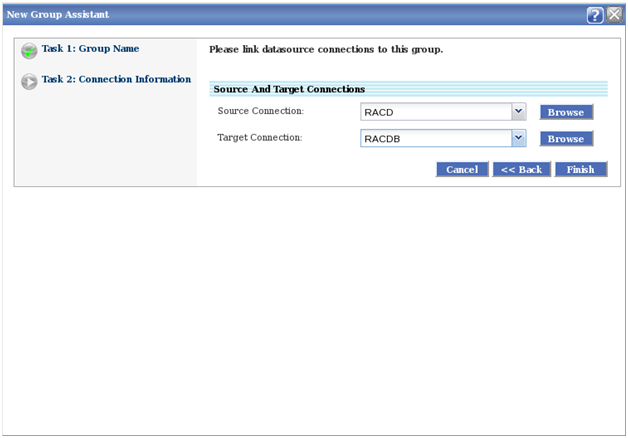 I configured connection RACDB as follows. Note that you should create two agents. I am sharing the same agent as source and target are on the same host. Specify Connections and press Finish. The group will be created as follows. 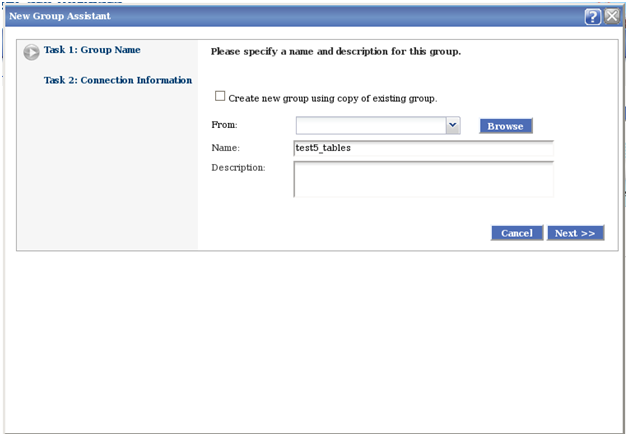 Specify Compare pairs by going into the Manual Mapping tab of the Compare Pairs section of the Group link. Associate the compare pair with a group. The group will be as follows. 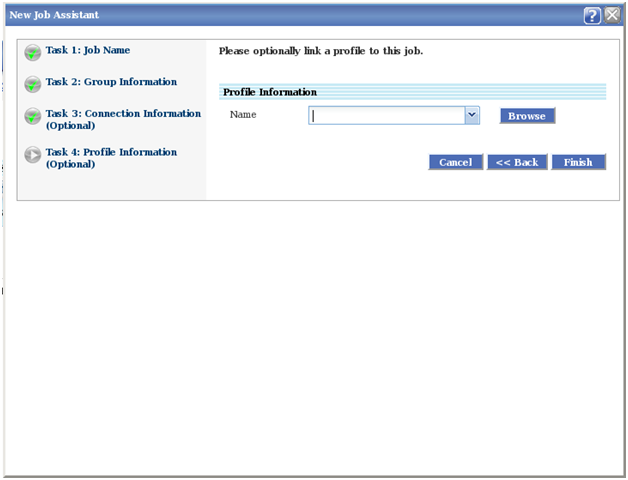 Navigate starting from Job Configuration and press New. Enter Name and press Next. Let the system pick up the default profile. A job will be created. The job is ready to be run. 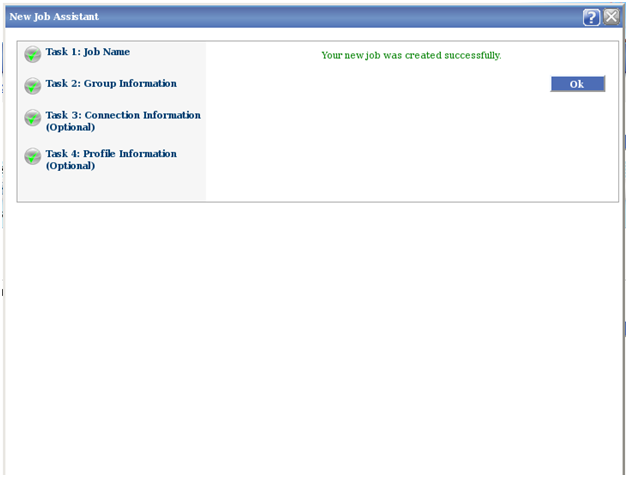 Navigate from Run Execute Job and select the Job name. Wait for the comparison to complete. Look at the finished Jobs for a pie chart reporting the possible findings from the execution of the job. Here all records are In-Sync. Clicking the Report under the report header will give you a detail report. Look at the Appendix for more detail description. You can get detail information by drilling into the compare pair details as follows. 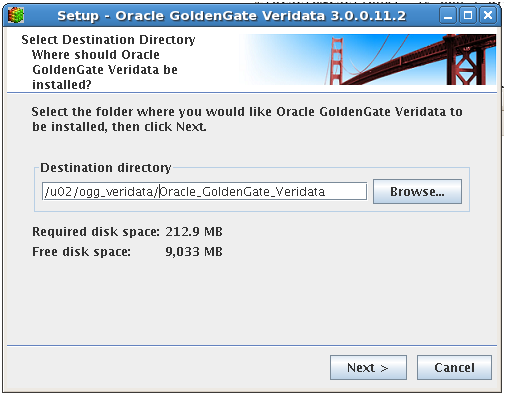 You can use OGG Veridata vericom utility. It has limited functionality such as start a job or shutdown the server. or if you do not have read permission on them. 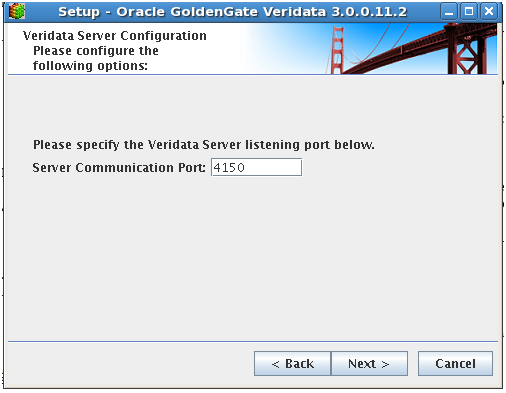 In the article you looked at the steps to install and configure OGG Veridata components. You performed data comparisons using the OGG Veridata. 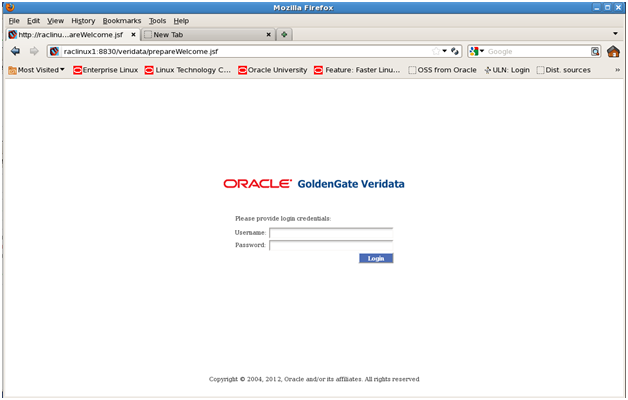 Copyright (C) 2004, 2012, Oracle and/or its affiliates. All rights reserved. Cannot determine the OS version. 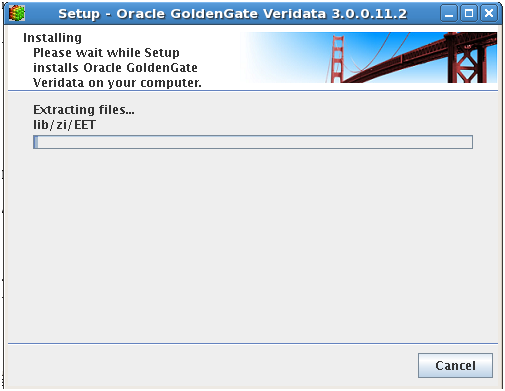 Starting Veriagt session for source rowhash at 2012-11-17 16:32:11. Starting Veriagt session for target rowhash at 2012-11-17 16:32:13. Processing first rowhash block from target at 2012-11-17 16:32:42. Processing first rowhash block from source at 2012-11-17 16:32:42. Comparing first row at 2012-11-17 16:32:42. Performance Statistics for source Rowhash at 2012-11-17 16:32:42. Performance Statistics for target Rowhash at 2012-11-17 16:32:42. 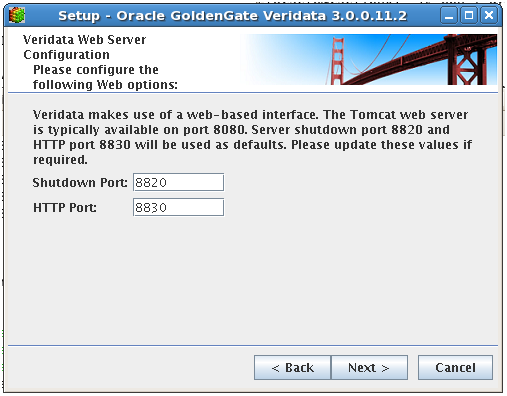 Starting Veriagt session for target rowhash at 2012-11-17 16:32:16. Thanks for this info. Does veridata also have the ability to generate a sql script to synch the differences in the target DB? No. 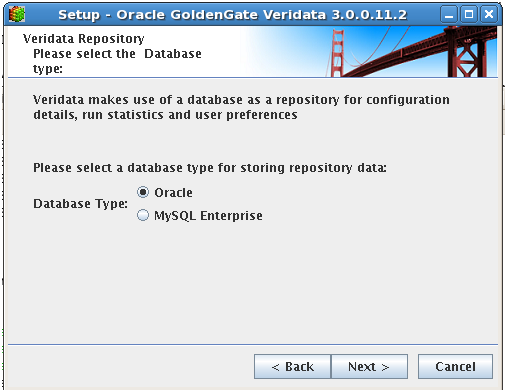 Veridata does not have ability to generate SQL to synch the differences. You should use the OGG to get both sites at synch and investigate why the sites are out of synch.